Want to know more about the Beaver County Transit Authority and the services we offer? BCTA operates a Speakers Bureau as a service to the community. 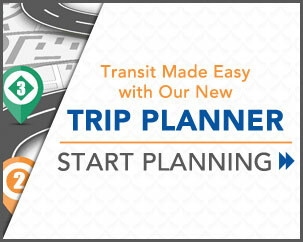 Upon request, we will provide a qualified representative to address any number of transit topics – FREE OF CHARGE. Speakers are available for groups both large and small. Where appropriate, and when prior arrangements have been made, free senior transit program cards can be issued to individuals aged 65 and older immediately following the presentation. General Information – This program will give a basic overview of BCTA’s history, the different services offered, and future plans. Facts about the Rochester Transportation Center and Expressway Travel Center, fleet information, and ridership profiles will be presented. DART – BCTA’s DART system offers a specialized transportation service throughout Beaver County and to selected destinations in Allegheny County. The DART trip reservation process and fare subsidy programs will be discussed. Transit for Children – This program is geared toward children in kindergarten through the 4th grade. An informational, educational video will be presented. The video follows Ronald McDonald and three friends as they plan and take a trip from Beaver County to the Carnegie Science Center in Pittsburgh. To reinforce the video, coloring books and other materials will be presented to each child. Enter your email address below to sign up for the latest service updates and rider news.